Today, I invite all of you to head on over to my sister’s (aka my Biffer) blog to check out my guest post. I was able to contribute to Day 10 of her 31 day challenge on blogging about LIGHT – so I provided a recipe for eating light. My sister has been on a major quinoa kick – so I figured I’d follow along. 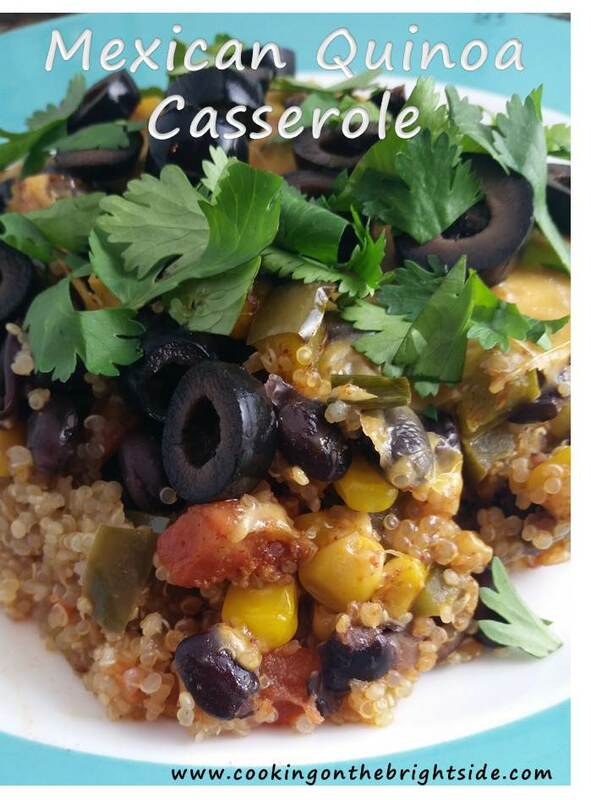 Check out my recipe for Mexican Quinoa Casserole on her site: Our Morning Glories. It’s an awesome recipe for Meatless Monday – but honestly, I ate it for two meals after that! It’s packed with protein so it fills you up without filling you out (see what I did there?). So stop by her blog, stay a while and read about my stinking adorable nephews, and make sure to give this recipe a try! And of course, you can find Buffalo Quinoa Cakes on my blog. Because here, we do all the buffalo-flavored things!